In 2018, there are as many as 200 million children that are orphans; which is greater than the number on people that live in Brazil – the fifth largest country in the world. UNICEF, the United Nations International Children’s Emergency Fund is an agency with staff in over 190 nations providing for children, and states an orphan is “a child who has lost one or both parents. By this definition there were over 132 million orphans in sub-Saharan Africa, Asia, Latin America and the Caribbean in 2005… UNICEF and numerous international organizations adopted the broader definition of orphan in the mid-1990s AIDS pandemic …leading to the death of millions of parents worldwide… so terminology of a ‘single orphan’ – the loss of one parent and a ‘double orphan’ – the loss of both parents – was born to convey this growing crisis.” Statistics for over 30 individual countries are below in Section III. SOS Children’s Villages, founded in 1949 and who has established about 570 SOS Villages, reports that there are about 168 million child laborers or 11% of all children (2016). They cite a UNESCO report that 124 million children and adolescents are out of school; 59 million (1 in 11 children) are primary-school age. And they cite the World Bank saying that about 63 million children suffer from acute malnutrition. Due to war, conflicts, AIDS, poverty and other reasons Sub-Saharan Africa has the highest number of child orphans in the world. It is estimated that every hour about 200 children become orphans. Likewise, due to war and conflicts the Middle Eastern or Asia war-torn countries of Syria, Iraq and Afghanistan have a serious orphan crisis. And to make matters worse, in this region due to war, ISIS presence and international laws, it is most difficult to reach, build facilities, feed, educate and care for these children. It should be noted that UNICEF’s number of millions of orphans often does not count tens of thousands of child soldiers, a million trafficked children and millions of street children. In 2010, orphans accounted for 15% to 25% of all children in 12 sub-Saharan countries; in 2014, sub-Saharan Africa accounted for approximately 70 per cent of people living with HIV worldwide, 73 per cent of new HIV infections, and 67 per cent of all AIDS-related deaths. According to the UNHCR, in 2015 there were about 20 million refugees and half of them were children. And UNICEF reports that there are over 250 million children living in countries affected by conflict. They stated that 1 out of every 8 babies in the world are born into conflict. In 2015, about 30 million children were forced from their homes. According to WHO (the World Health Organization) about 16,000 children under the age of five die every day. And they add that 17 million under 5 were severely wasted (malnourished) in 2015. In Congo, Africa it has been reported that about 11% of their entire child population are orphans due to war, poverty and disease. Moreover, many orphans in the Congo become forced to be child soldiers. And war was so bad in Sudan it literally caused the country to divide into two nations, left with about 10% of their children orphans. Wars and conflicts in northeast Africa and the Middle East are so severe that they often overshadow the conflicts going on in Central and South America, central Africa, as well as those in the former Soviet Union countries and southern Asia. The tens of thousands killed in the Mexican Drug Wars, War in Donbass (Ukraine) and other such conflicts are exceeded by the millions killed in countries where IS/ISIS is present. The major modern conflicts in Afghanistan began in 1978 and U.S.-led war started soon after 9-11-2001 and war and conflict continues there to this day (2017). Where the Taliban presence split and has been reduced; ISIS continues to be a problem. Likewise, the Iraq War began about 2003 and the region continues to be a hotspot of conflicts and struggles over who will rule – all the while the children suffer greatly. Many lack proper education, nutrition and even parents. And now Syria is in the midst of Muslim struggles for control, ISIS presence, a dictator in Assad and the UN world leaders are puzzled as to how to handle one of the world’s saddest territory. Millions have been killed in these three Asian countries alone, and millions of children have become parentless and hopeless – crying out for the world’s aid and compassion. Concerning Syria, the worst conflict area in the world as of 2017, UNICEF reports, ‘more than 8 million Syrian children are in immediate need of aid – including more than 2 million child refugees… (our) more than 200 staff… risk their lives every day across the country to support Syria’s children. 2016 was the worst year yet for Syria’s children as violence ripped apart places that should be safe, schools, hospitals, parks and children’s own homes. 8.4 million Syrian children, inside and outside the country, are in need of humanitarian aid, and millions have borne witness to unrelenting violence from the brutal conflict that began more than six year ago. Across the country, 1.75 million children are no longer in school and some 2.5 million are living as refugees or on the run in search of safety, helping to fuel a global migrant crisis. Syria is now the world’s biggest producer of both internally displaced people and refugees. Many children have spent several bitter winters living in makeshift shelters. UNICEF has been on the ground since the conflict began, helping to mobilize the largest humanitarian operation in history and working closely with partners to provide education, water, health care and immunizations, physical protection, psychological support and clothing to children in Syria and Syrian refugee children in Iraq, Jordan, Turkey, Lebanon, Egypt and Europe. Children are Syria’s future. We must support each and every child. UNICEF noted that over a billion dollars is needed in 2017 alone for this situation and that as of November 2016, they received less than $700 million. That seems disturbing considering the trillions of 2016-2017 budget dollars of combined Western Powers in NATO (North Atlantic Treaty Organization); and the same could be said for the great Eastern Powers in the SCO (Shanghai Cooperation Organization). An estimated 36.7 million people were living with HIV worldwide in 2015. Of these, 1.8 million were children under 15 years of age Eight out of every 10 children who have lost parents to HIV/AIDS live in sub-Saharan Africa. Between 1990 and 2001, the proportion of orphans whose parents died from HIV/AIDS rose from 3.5 per cent to 32 per cent according to UNICEF. Though in countries such as Zimbabwe, which has had one of the highest HIV rates in the world, UNICEF found that about 98% of the children who have lost one or both parents are living with families; most still live in need of proper nutrition and education. 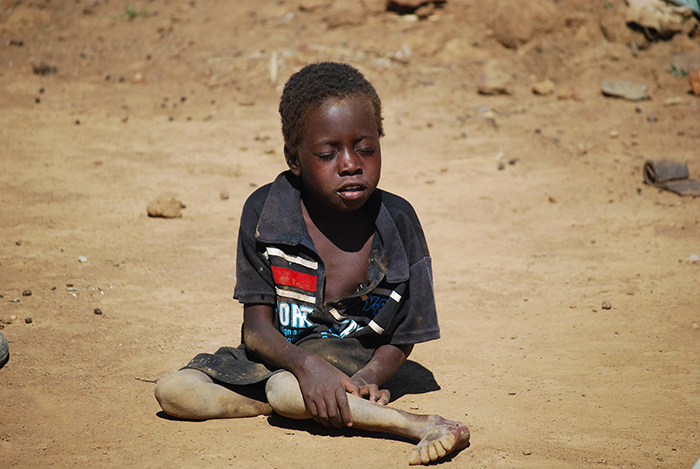 New Zimbabwe News (March 2017) reported that 1.6 million Zimbabwean children are orphaned due to AIDS, and that every year about 40,000 children die from HIV/AIDs. Children in orphanages, whether the ten of millions in the UK and Europe or the tens of millions in South America and Asia, often come out into poverty and many to crime. Lack of education further increases the problem of increased poverty, crime, sexual immorality, promiscuity, co-habitation and health risk, such as HIV/AIDS. Moreover, children with disabilities are often discarded, abused and lost. In Jamaica, in 2003 about 65% of their children with developmental or physical disabilities lived in homes run exclusively for children with disabilities. In Central and Eastern Europe a child has over a 45-times likelihood of being in an orphanage if they are disabled as opposed to healthier children; and in the United States that reality was still about 36 times according to CEE/CIS data (UNICEF, Central & Eastern Europe/Commonwealth of Independent States). In the Ukraine, it is reported tens of thousands of disabled children are abandoned to orphanages. 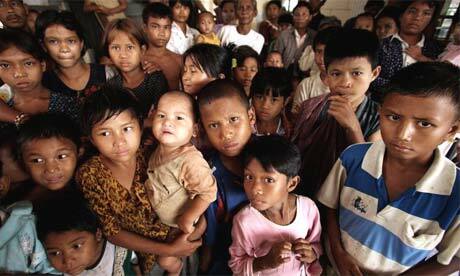 Additionally, ethnic minority children are much more likely to become orphans and or placed in orphanages. In Sweden, a study from Stockholm (Second International Conference on Children and Residential Care) found that children over the age of 12 were 3 times more likely to be and remain in an orphanage if they were from a non-Swedish ethnicity. In Bulgaria, over 60% of the children in orphanages were found to be from the Roma minority (Romanian), though they represent only about 5% of the population. The World Bank reported that the annual cost for a child in residential care or an orphanage cost its nation about six times more than supporting a child through a foster home. And it is likely that the care or abuse (mental and physical) does not differ enough in either location to sway the justification for the excess cost. Statistics on orphans are often difficult to use as relating to comparing nations because of the definitions and reporting of orphans by different countries. The world average of orphans is about 2.5%; however, about 1 in 4 children in the United States are raised by a single parent, and that number is much higher in conflict and underdeveloped countries. Different reporting agencies use the ‘single orphan (loss of one parent)’ definition; while others use the ‘double orphan’ definition. And the great majorities of orphans find comfort or at least homes with relatives. Nevertheless, there are tens of millions that are tossed into half-way houses, orphanages and the streets. According to research by Save the Children, over 90 percent of the children thought to be orphans in Central and Eastern Europe, Indonesia, and Ghana are not actually orphans but have at least one living parent. In Liberia, the figure is said to be 88 percent. And poverty greatly affects the numbers as much as cultures. In Malawi the life expectancy was 37 years old in 1960; now 57 (2017); yet, as one of poorest nations, its children remain at risk – often lacking proper education, nutrition and love. And in China, though they report less than 1% orphans; they have over 40,000 orphanages and their past One-Child Policy subjected many to the streets and caused much sorrow for millions of girls. That policy finally ended in 2015 after 35 years of enforcement. And it is not always war, conflict, AIDS, poverty, abuse or negligence that produces orphans. In Indonesia and Bangladesh tsunamis killed the parents of hundreds of thousands of children in the last dozen years. Likewise, disasters such as in Haiti have left millions of children as orphans. The alarming statistics on African orphans is that in 2015 there were about 170,000 orphaned children in Mauritania, 710,000 in Mali, 800,000 in Niger, 600,000 in Chad, 1.7 million in Sudan, 280,000 in Eritrea, 48,000 in Djibouti, 4.8 million in Ethiopia, 630,000 in Somalia, 560,000 in Senegal, 710,000 in Burkina Faso, 370,000 in Benin, 64,000 in The Gambia, 100,000 in Guinea-Bissau and 370,000 in Guinea. According to some reports, Nigeria has 8.6 million orphans, Ivory Coast 1.4 million, Liberia 250,000, Sierra Leone and the Central African Republic 340,000 each, Ghana and Cameroon one million each, Equatorial Guinea 29,000, Gabon 65,000, the Republic of the Congo 270,000, the Democratic Republic of Congo (formerly Zaire) 4.2 million, Rwanda 820,000, and Burundi 600,000. Uganda and Kenya are home to 2.3 million orphans each, Tanzania to 2.4 million, Angola and Zambia 1.2 million each, the Comoros 33,000, Malawi 950,000, Namibia 140,000, Botswana 150,000, Zimbabwe 1.4 million, Mozambique 1.5 million, Madagascar 900,000, Lesotho 150,000, and Swaziland and South Africa 2.5 million each. The numbers on the chart below may vary due to multiple reports. In a great many countries in the world children suffer in extreme poverty; especially in regions where corporations and politicians have outsourced their resources with very little care or moral compassion on that countries best resource – their children. In Kenya, more than half of their population lives below the poverty line, many on less than a dollar a day; and this can be seen in perhaps a 100 countries. Additionally, most orphans in war-torn countries such Afghanistan survived the war, but have been abandoned with little help. Reports tell that Afghanistan’s services for their millions of orphans and unwanted children – totaling as much as 6.5 million – were devastated by the conflict. About 78% of Afghans live in rural villages. The chart below; Orphans: Estimated Statistics for 2017 uses several reputable and current reports. It reveals that out of the world’s 7.5 billion population (2017), there are approximately between 160 million and 200,000,000 orphans by definition. It also displays that Syria and Iraq remain the worst and most difficult countries by percentage of orphans and their situation. Move over, thousands of Syrian children have starved to death as their supplies were cut off by ISIS or Syrian President Assad’s regime. U.S.: 400,000 children in the foster care; ¼ eligible for adoption; 1 in 28 kids have a parent in prison. 4% of children live with no parent. 130,000 U.S. orphans for adoption. It is very difficult to adopt orphans in conflict regions; yet one must be very careful when funding support to agencies and ‘organizations.’ In a new report (2016), studies reveal how children are treated as commodities in an industry that recruits children in order to profit from child sponsorships, international adoption and child trafficking. It is beyond the scope of our current article to research a thousand different organizations to explain which are best for which country. Nevertheless, the amount of money and care and staff available to the children should be questioned before donations are given. It is my desire for a 2018 OSIS (Orphans Services for Iraq and Syria) Fund; but we are awaiting proper formation. 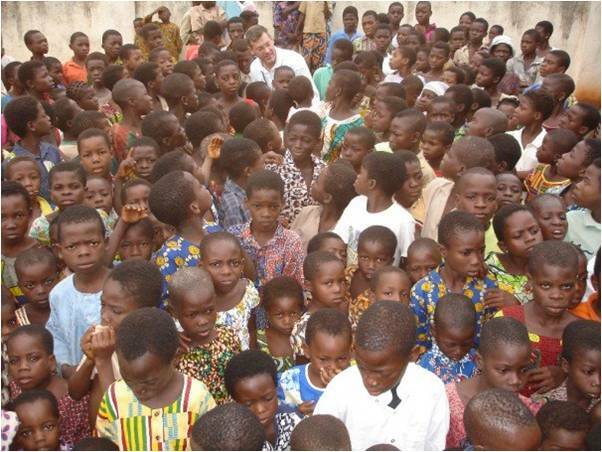 Word and Spirit Ministries: 100% goes to the orphanage which has full-time support.